The Franklin Pierce Center for Intellectual Property at the University of New Hampshire School of Law and Royzz & Co. (formerly Solomon & Roy) announce a new partnership to benefit international students interested in specializing in Intellectual Property (IP) Law. 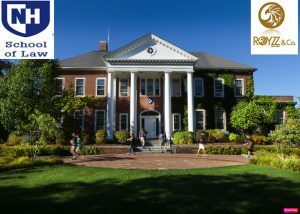 Royzz & Co. has sponsored a $5,000 International Student Scholarship that will be awarded to one international student admitted to UNH Law’s LL.M. in IP or Master’s in IP for the 2019-2020 academic year. 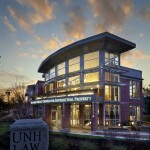 The University of New Hampshire School of Law offers a top-ranked U.S. legal education in global innovation. UNH Law is a top-ranked law school and ranked #5 for IP law, consistently making the top 10 since the rankings began nearly 30 years ago. LLM GUIDE recently named UNH Law to its 2019 Top 10 List for LL.M. Programs in Intellectual Property Law. UNH Law’s 24 credit LL.M. program is ideal for domestic and foreign-trained attorneys and judges, and those with a legal education who are seeking specialized training on cutting-edge issues in intellectual property. The 30 credit Master’s program is designed for nonlawyers – engineers, scientists, inventors, business professors – seeking to understand legal issues in industry and policy who want to earn expert credentials in IP and innovation. Students have opportunities for practical training and gain invaluable hands-on experience through externships and legal clinics. Under the guidance of the largest full-time faculty in the field of IP, students learn the fundamentals of obtaining, maintaining, and enforcing IP. Students also explore differences between domestic and international regulations and current issues shaping IP law and policy today. UNH Law’s Franklin Pierce Center for Intellectual Property offers one of the most comprehensive lists of innovative IP courses at any law school in the United States. Graduates of UNH Law’s Franklin Pierce Center lead IP legal infrastructure around the world and are recognized for their signature approach to problem-solving and ability to hit the ground running. They are highly sought after in the marketplace and quickly rise to the top. UNH Law graduates comprise a global network of influential IP practitioners, working in more than 80 countries at major corporations, top law firms, and national IP offices around the world. This worldwide network of IP experts stands ready to help UNH Law students and graduates become the next generation of IP leaders. UNH Law is now accepting applications for Fall 2019 from students who want to become a part of the school that sets the pace for legal education in the information age. To be considered for the International Student Scholarship sponsored by Royzz & Co., students should complete their application to the LL.M. or Master’s program in IP and then request an application for the International Student Scholarship. Scholarship applications are due by May 15, 2019. 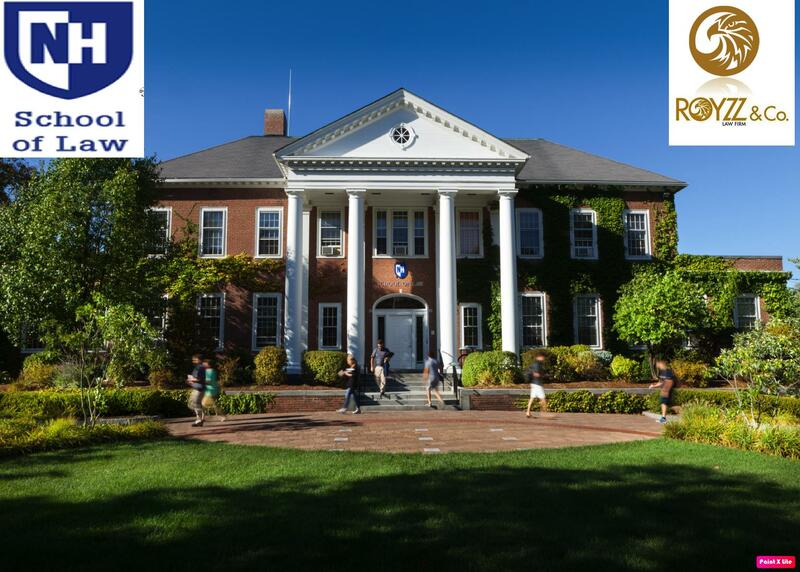 For more information on UNH Law’s graduate law degrees, the application process, or the International Student Scholarship, please contact [email protected] or visit https://law.unh.edu/admissions/graduate-admissions. Spicyip Tidbit: The 2015 Rankings for Programs in IP and Tech Law in the US are Out!